Need some protection from the sun or rain? High Peak Marquee frame tents have no center poles on the ground which provides more room for you and your guests! Seats up to 40 people. See diagram in "Additional Product Photos" for seating ideas. 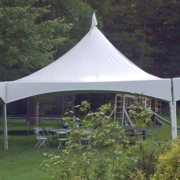 This tent package includes 4 - 8ft long tables and 40 white chairs. Need some protection from the sun or rain? High Peak Marquee frame tents have no center poles on the ground which provides more room for you and your guests! Seats up to 40 people. 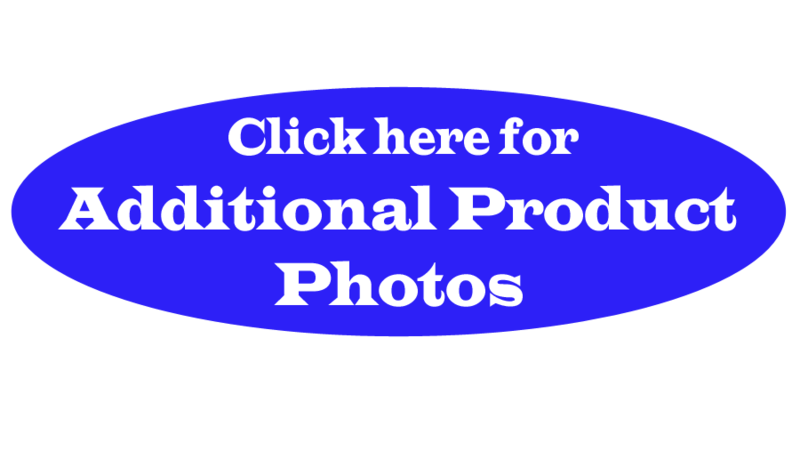 See diagram in "Additional Product Photos" for seating ideas. This tent package includes 6 - 8ft long tables and 40 white chairs. Need some protection from the sun or rain? High Peak Marquee frame tents have no center poles on the ground which provides more room for you and your guests! Seats up to 40 people. 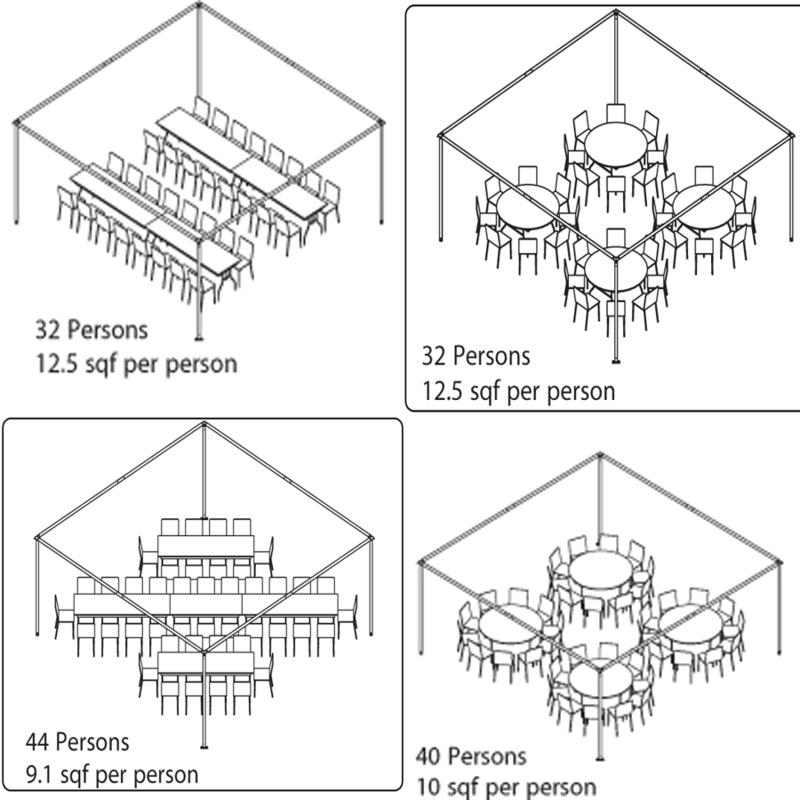 See diagram in "Additional Product Photos" for seating ideas. 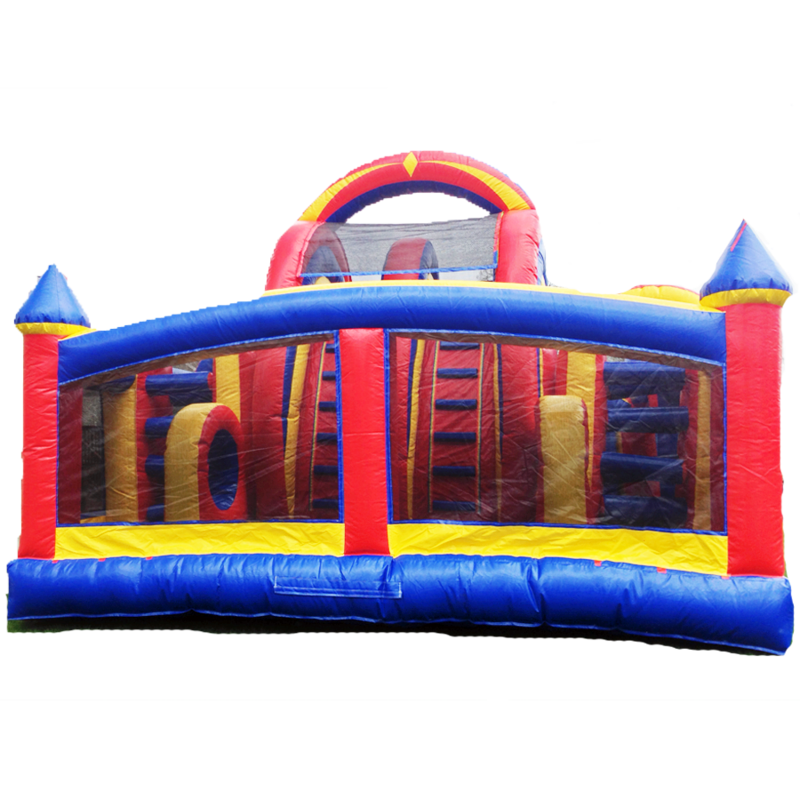 This tent package includes 4 - 60" round tables, 2 8ft long tables for food and 40 white chairs. 8 hour rental! 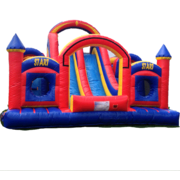 Book this unit for your party right now to get this current discount! 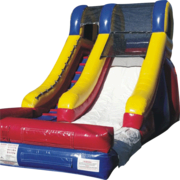 (price shown includes $50 discount) Double the fun with two slides! 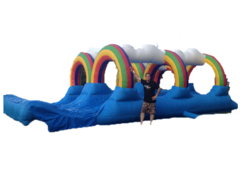 Two people at a time can race to the end with over 100 feet of climbing, pop-ups, and a tunnel under the slides.